Our Instagram account has being taken by people who has no integrity, no heart, no soul,no character and have never being a Jimmy Buffett fan. This is FRAUD! This real nice people are using our name and fame to take advantage in our long, long history and hard work. We have more than 25 years of experience, always did a lot for the community. Lot's of pictures in that website has nothing to do with our character. 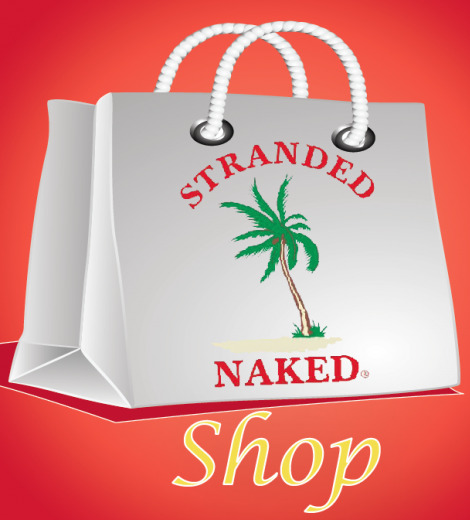 The Stranded Naked is a houseboat name who started the real Beach Party for people to make Friends, listen to Jimmy Buffett music, whole families to enjoy a full day of fun in a real safe , classy environment, Drug free. Again we are not responsible for this party anymore. Please stop using our name, fame and Instagram account to make profit on top of us! Our parents died, show some mercy and compassion. It takes a great deal to build a name and reputation and not many are capable. As we stated in our web site we are sad by the death of Bobb's parents. We are struggling to deal with so many problems and need help now but people insist in using our personal names and taking our company and party names to benefit from our long years of success. Very disturbing. We didn't throw the flip flops. We are mourning the loss of the two most important people in our life! Thanks for your respect and compassion. The information below is false. Kicking off with the famous “Stranded Naked” event on Fiddle Cay, the renowned Regatta Time sailing event is held between the American and Bahamian independence days, showing the link between the two countries. Sailing enthusiasts flock to the Abaco waters in quest to see the American boats. The year, the event commences in Hope Town and end in Green Turtle Cay. NO STRANDED NAKED CHEESEBURGER BEACH PARTY IN 2016 ! THE ORIGINAL "STRANDED NAKED CHEESEBURGER BEACH PARTY" ON FIDDLE CAY THAT IS PUT ON BY BOBB AND PATRICIA HENDERSON IS NOT HAPPENING THIS YEAR. AFTER 20 YEARS WE NEEDED TO TAKE A YEAR OFF DUE TO FAMILY MATTER AFTER THE PASSING OF BOTH BOBB'S PARENTS LAST SUMMER. WE ARE NOT WORKING BEHIND ANY EVENT THIS YEAR. WE DID NOT AUTHORIZE ANYBODY USING OUR NAMES TO COLLECT MONEY FOR OTHER PARTY. GOD WILLING WE WILL RETURN SOON. Patricia and I would like thank all of our Sponsors, Volunteers and Crew that made the 2015 Free Stranded Naked Cheeseburger Beach Party the largest and most successful beach party to date. This party continues to be a huge success and a Free fun family event for many tourists traveling from the USA and local Bahamians. This year there were many more boats and people attending than ever before. It was the most people and boats that I have ever seen around Fiddle Cay. As you can see from the many online free drone shots there were many larger boats anchored way out in deeper water away from Fiddle Cay. These larger yachts used their smaller boats to access Fiddle Cay and the party. From the drone shots it was amazing to see all of the boats anchored to the south towards Green Turtle. One of my friends that came up from Marsh Harbor said that he followed a boat up from Marsh and that as far as he could see in front of their boat that everyone was doing the same thing he was doing. Following in the wake of the boat ahead of them. He said as far as he could see to his stern there was a line of boats following in boat wake ahead of them all motoring towards Fiddle Cay. As was stated in the Abaconian besides this parties theme being a tribute to Mr. Jimmy Buffett and his music and lifestyle we dearly care about Safety and about people enjoying the Bahamas and keeping this free party. With about two thousand people arriving by boat in such a small area, once again this year we are happy to report that there were no injuries. I did not even give out a single Band-Aid. As with past years everyone behaved and were very patient untangling their anchor lines and waiting for the tide to raise so they could depart Fiddle Cay. This is something that locals and tourist alike should be very proud of as everyone acted with respect and boated safely even after a long day of partying on the beach. This year once again we increased the amount of burgers and hotdogs. We used the new gas event grills purchased in 2014 & 2015. These grills enabled the cooks to control the temperature of the grills much better than the all charcoal grills and resulted in 1800 cheeseburgers and 900 hotdogs being cooked in a little under 4 ¼ hours. We all thank and congratulate the cooks for withstanding the heat and smoke and for cooking 1800 great tasting Bubba Burger for everyone to enjoy. In the fry department we improved our fryer and our volunteers were able to fly 600 pounds of french fries in about 5 hours. They did a great job. We still have a few small problems with our gas fryer but as we move forward we will continue to improve the system so we can fry the 600 pounds a little faster. At the bar Captain Andy Burke and his Abaco Glow crew served 100 gallons of margaritas and 100 gallons of rum drinks over the life of the party in the free souvenir Stranded Naked Cheeseburger Beach Party stadium cups. American Cabin Supply and American Yacht Supply donate these high quality stadium cups each year with the Stranded Naked logo and Cheeseburger Beach Party logo’s. They are always a favorite of all ages and a collector’s item for those that attend the Free Cheeseburger Beach Party year after year. Sponsors…A big thank you goes out to all of our Sponsors new and old big and small as they all play a special part in keeping this party a Free event. Abaco Imaging, in Marsh Harbor again offered to make advertising banners for anyone or for any business that would step up and help. Many businesses and individuals contacted us and helped sponsor the party. Please review our sponsor section on our photo album and at the Web page www.strandednaked.com which has been hosted and managed by Henrik and Myra of Bengal House in GTC. Without our web page and our Sponsors help this event would not be possible. Again, Thank those of you that volunteered you're vacation time and to all of our past and new sponsors for their help with this event. Mr. Buffett’s music was being blasted across the sandbar at Fiddle Cay via (8) 600 watts powered speakers. Thankfully some volunteers showed up the day before the party when I was very sick. In just a short time Dave and Kathy from Gillen Diesel and their friends Gordan and Renee all the way from Texas hook-up our sound system so everyone could enjoy the Jimmy Buffett music. This past month on September 10th we lost Bobb's dad from dementia. This came just three months after his mother passed away from Alzheimer’s on June 21st. They now are together in heaven and can celebrate their 62 years of marriage. It has not been easy for us to adjust as many of you can imagine. As they both were growing older and not being able to make decisions for themselves we accepted the responsibility of taking care of their needs. We moved them from Gainesville, Fl last year so that they would be closer to us. We found an ALF that was brand new and would allow us to put an internet camera in their room for constant 24/7 monitoring. In many ways Bobb’s aging Mom and Dad became the children that we never had and it is a huge adjustment not seeing them regularly, a difficult transition for us to say the least. Just a quick note for those of you that might find yourselves doing as we have done caring for aging parents with dementia or Alzheimer's. The health care system and many professionals can become your worst enemy one of the major problem: overmedication! The patient does not deserve to be fed all of these drugs that are not proven to cure on delay the suffering. You need to search for a healthcare processional in your area whom deal only with the elderly a good geriatric doctor. Forget 90% of the advertised medications that you see on TV. We found with help from our geriatric doctor that less was best and overmedication causes more problems than it solves. At one point several years back a quack doctor in Gainesville had Bobb’s mother on 26 pills a day. 90% of these pills only caused her more problems and did nothing to cure her disease. God bless any of you that will deal with our past situation. You are more than welcome to contact us and we can share more of some of the problems we faced. So many of our friends help with good advices and we Thank you for that, one of Bobb’s high school buddies was a wealth of knowledge as he went through what we were going through several years back with his mother. You will need a lot of love, hope, courage strength and Faith but your parents will really appreciate what you did for them. Even not in their right minds they always thanked us for everything we did for them. Little things like helping them to bed they were always so grateful for our help. Remember there are not just bad things happening there was some funny and beautiful moments too. For instance, we saw Bobb's dad kissing his mom 1 day before she died 3 times on her face and telling her: You are the woman of my life, I can not live without you! Both requested to be cremated and their ashes are together for eternity! A private service will be at their gravesite in Keystone Heights, Florida as per their written request where they had spelled out how everything should be done after their passing. Bobb and Patricia miss you! I posted a note earlier in June about 2015 being a tough year as I lost my mother on June 21, 2015 just a few days before we needed to get Fiddle Cay ready for the party. The weather was perfect and was great for setting up the party on July 3rd. Although it was a difficult time for me personally because of the loss of my mother and the fact that my father had been hospitalized and in rehab for breaking a leg and hip the day after my mother passed. Dealing with these family matters has made me take a second look at the priorities in my life. This party takes a tremendous amount of time to plan and make successful. It does not happen accidentally or from behind a desk. Patricia and I spend months soliciting sponsors and working out the logistics required to coordinate everything for the party. There raising cost associated with the event each year and this year we had to deal with new and more confusing regulations in the Bahamas associated with events such as the Stranded Naked Cheeseburger Beach Party. Hopefully some of these new problems can be worked out with Nassau. I plan on meeting with Government officials that attended the party this year. They saw firsthand the kind of family event the Free Stranded Naked Cheeseburger Beach Party is and how it promotes the out-islands and is an event worth preserving. As of now we will be taking a year OFF and giving our volunteers from Sum Toy, Abaco Glow, Wenches, Island Fever, Miss Lorie, Lady Bug, Spice and many others. We hope that these and our many other volunteers have a chance to enjoy GTC and the Bahamas and relax while on their vacation. If things calm down in my life and we can work out some details with the government officials we will resume the Free Stranded Naked Cheeseburger Beach Party on Monday July 3, 2017 on Fiddle Cay for the best and biggest Free fun family beach party in the Bahamas. In closing the party was a huge success with perfect sunny Bahamian weather and record attendance. The weather was perfect. After the party Patricia and I took a safe and fun cruise on Stranded Naked to our favorite vacation place, Hope Town. We ate some great food at Harbors Edge which is our Hope Town home away from home. Besides eating, diving, fishing and anchoring out at Tahiti Beach, visiting Little Harbor and Guana we were offered a fun opportunity. Patricia and I were invited to sail/race/crew on Don Balthasar’s 58 foot Catana catamaran “Double Trouble”. Although Patricia and I were not much help and did not bring Don any luck or skill needed to win a trophy we had a great time sailing and we thank Don and his crew for inviting us onboard to race. Finally for some more sad news in 2015. One of my longtime friends Bob and Ginny Withers of the yacht "Sum Toy" who have volunteered who help year after year working the party, setting up the party and tearing down the set on Fiddle Cay. They have been long time Stranded Naked Crew. After returning to Florida they experienced the sinking of their boat. I will not get into the details but they have lived on their 44’Gulfstar MC for 40 years. They bought it new. It was not just a boat for vacation it was their home. Almost everything was lost. What was not lost was covered in a thick dark brown nasty mud. Patricia and I were able to work with them only one day sifting through the debris and mess looking for their lost treasures of life. Thanks to few folks who came to help them too. The boat is a total loss and it breaks our hearts to see something like this happen to such nice people. Slowly they are making progress but they still have a long way to go. We wish all of you reading this the best life has to offer and again thank you for your thoughts prayers regarding my parents. Please share and like our page for future updates. The Free Stranded Naked Cheeseburger Beach Party is hard to grasp for anyone who has not experienced it. Between the people (or, more accurately, the characters), the warm water, the sights, sounds and smells of burgers wafting across Fiddle Cay it is easy to get lost in what is understood to be the largest beach and boat party in the country.